As you may know, UNESCO’s Memory of the World Program is a United Nations initiative to safeguard the documentary heritage of humanity. 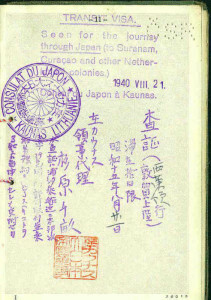 Our hope is to win this status for records documenting the deeds of Sugihara’s mass visa issuance in Kaunas Lithuania in 1940. We believe that it should be properly preserved and passed on to future generations. The current situation of the Sugihara UNESCO project is as follows. We are editing the nomination form to UNESCO, and will finish soon. We will submit it to the Government of Japan by 19th May, and Foreign Ministry of Japan will transfer it to the UNESCO headquarters in Paris by the end of May. We have reached out about 100 families who received visa from Sugihara and related organizations around the world, such as USA, Israel, Poland, Australia, Greece, Canada and others. 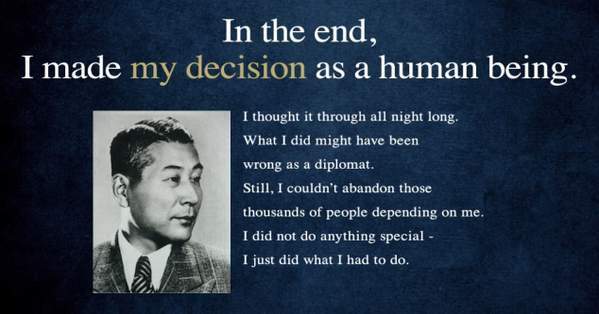 16 families, seven museums and organizations still preserve the original Sugihara visa. Now we are negotiating these Museums, Organizations and families to collaborate our nomination, and concluded an agreement with half of them. I fully support the project and I am glad that I could contribute to the project. The numbers above confirming how rare Sugihara’s documents are nowadays. From 100 families reached out ONLY 16 had still such documents. Previous Previous post: Passports Of British Consul Arthur Woodhouse C.B.E.